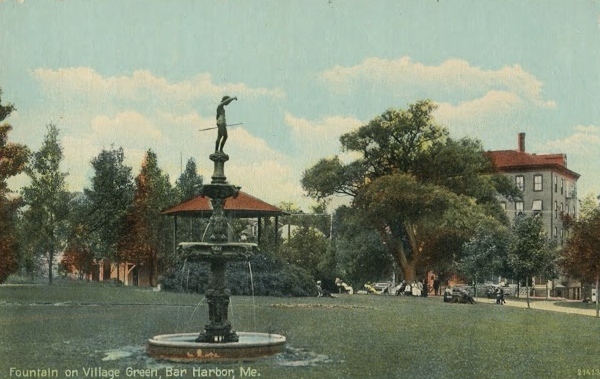 The Town’s truly oldest antiquity is the bronze fountain on the Village Green which was purchased from an Italian villa garden by Philip Livingston during his winter trip to Europe in early 1909. 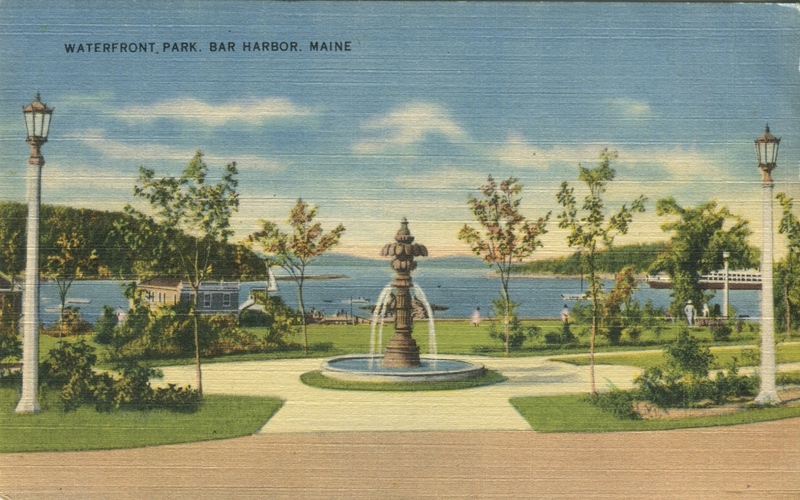 The seventeenth century antique fountain was given to the Association and placed in the green in the summer of 1909 in memory of Mr. Livingston’s late wife. Mr. Livingston became president of the Association for the season of 1910, filling the vacancy left by the untimely death of Mr. Waldron Bates. In 1915, the V.I.A. renewed its ten year lease with the Town for continued improvement, landscaping and overall upkeep and care of the green. In 1921, renowned landscape architect and gardener, Beatrix Farrand, was consulted and provided plans for a diagonal broadwalk to be established and to improve and move the bandstand a distance of twenty feet. 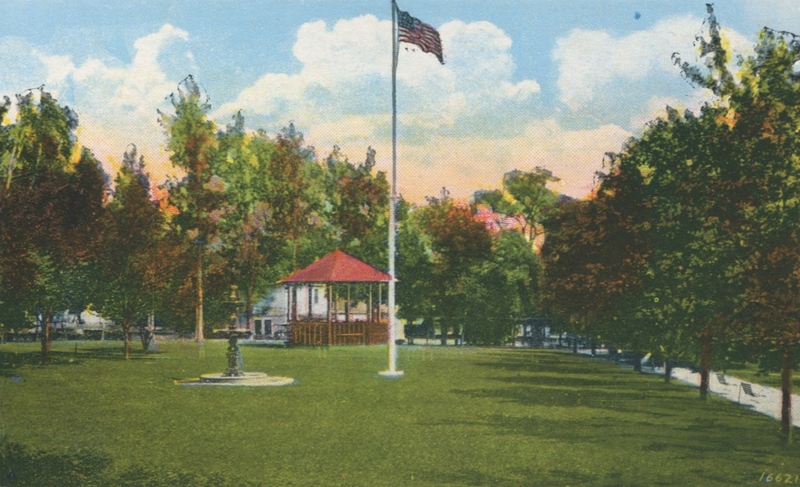 The bandstand was moved and a flagpole erected at their present locations. The Agamont Fountain was made by Eric Sodderholtz, an artist best known for designing and creating urns, planters and fountains out of concrete. Well-wishing visitors frequently toss coins into the fountains, and the change is periodically collected by the VIA. In 2014, three seasons worth of coins were hauled, emptied, soaked, screened, washed, dried and reloaded into 12 large buckets. Each bucket weighed over 90 lbs., and it took a coin machine three hours to sort it all out!